What Do You Need To E-File 2290? E-file 2290 doesn’t have to be complicated. You can e-file 2290 quickly and easily when you file with 2290Schedule1. You just need the details of your business, including name, address, EIN (Employee Identification Number), and details of an authorized signatory. You also need your vehicle details including VIN (Vehicle Identification Number) and the gross taxable weight. If you are paying the IRS with direct debit, be sure to have your routing and account number on hand as well. A stamped Schedule 1 is proof of your Heavy Vehicle Use Tax (HVUT) payment and filed IRS Form 2290 Online. If your vehicle is suspended and tax-exempt, you are still required to submit your IRS Form 2290. The form is proof of payment when registering your vehicles in any state. It's always a good idea to have your current Schedule 1 handy when on the road. Keep a copy in your glove box. E-File 2290 and Get Your Stamped Schedule 1 For Just $9.90. The IRS requires you to e-file 2290 if you’re filing for 25 vehicles or more. That’s the rule! If you want to receive your stamped Schedule 1 ASAP, file IRS Form 2290 online with 2290Schedule1. We send it right to your email. You can e-file Form 2290 and receive your Stamped Schedule 1 no matter where you are when you use the mobile version of our site. Just open your phone’s browser and go to ExpressTruckTax.com! E-File 2290 and get your stamped Schedule 1 for just $9.90. We also offer free VIN corrections for returns filed with us. We are an IRS-authorized e-file 2290 provider. We work closely with the IRS to provide you with a safe, secure, and accurate process that will save you time and money when you e-file 2290 and receive your stamped Schedule 1. We are Comodo HackerSafe certified, encrypted, and protected by Secure Sockets Layer. 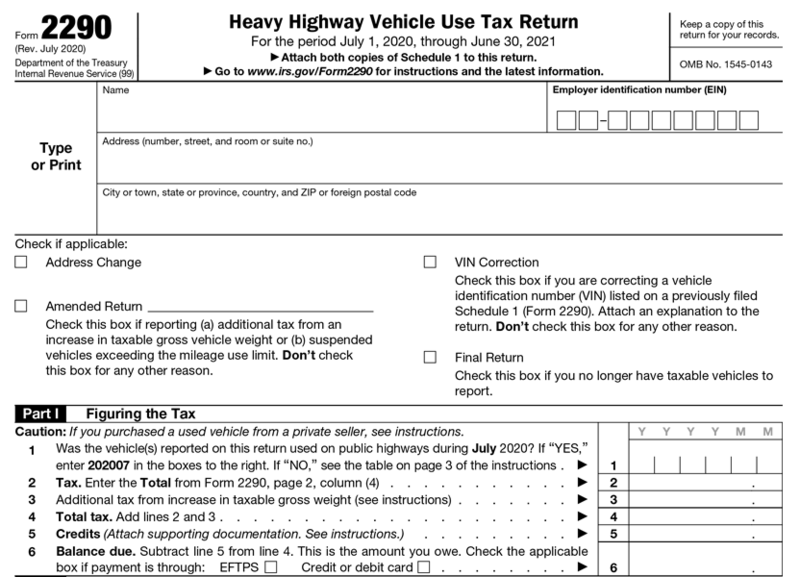 Your personal and Heavy Vehicle Use Tax information goes directly to the IRS and no one else. You can file from your mobile phone since our software is compatible with mobile. E-file 2290 and receive your Stamped Schedule 1 from wherever you are. 100% US-based email, chat, and phone support from our tax experts. © 2018 2290schedule1.com, All rights reserved.